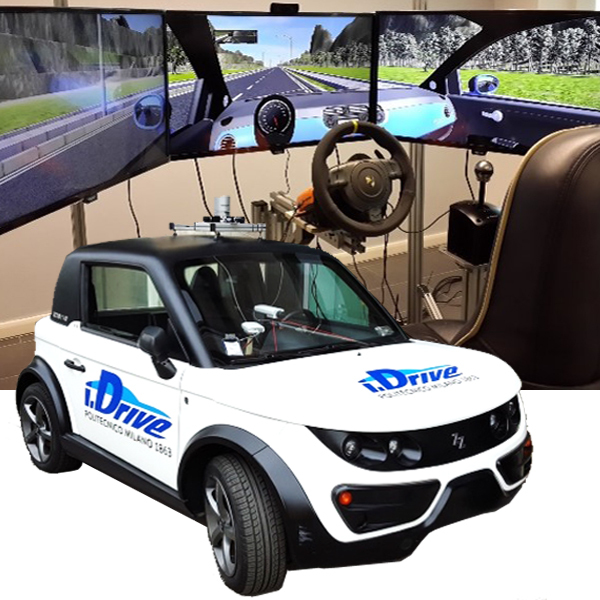 A mobile component based on an instrumented vehicle aimed at measuring on field performance and reactions of drivers in different driving conditions and at collecting environmental data to be reproduced ex-post by simulation. In addition to the study of drivers and the impact that road infrastructures have on him/her, the laboratory allows us a series of new studies which include the many fields where the University already develops research activities. Study of driver workload in crossing roundabouts (or other crucial points of road network) through simulation in virtual reality.